In the twenty years before 2010 China gained a lot of GDP. 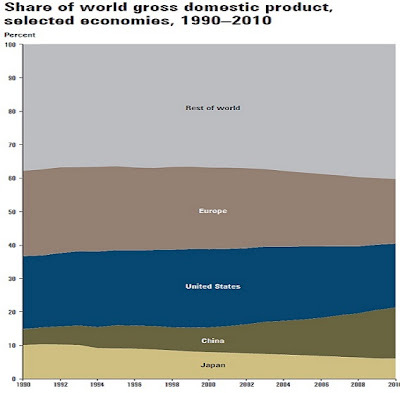 Since its GDP growth was a lot higher than in Europe and the United States it also gained in its share of World GDP. That is China's economy got bigger compared to Europe, United States and Japan. This is shown in the graph.